After I’ve created my home server I’ve tried to change it’s host name by going to /etc/sysconfig/network. For my surprise it was empty. Then I’ve recalled that in version 7 CentOS started using systemd. Hence the location changed. The inconvenience of editing file directly is that system reboot is required to apply the change. 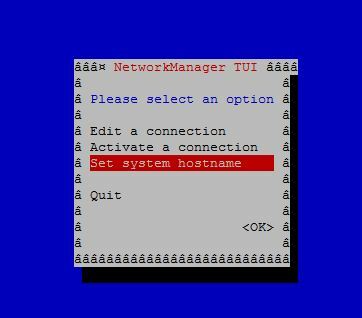 Alternative method is to use Network Manager tool by invoking nmtui. You can type hostname to validate the change.